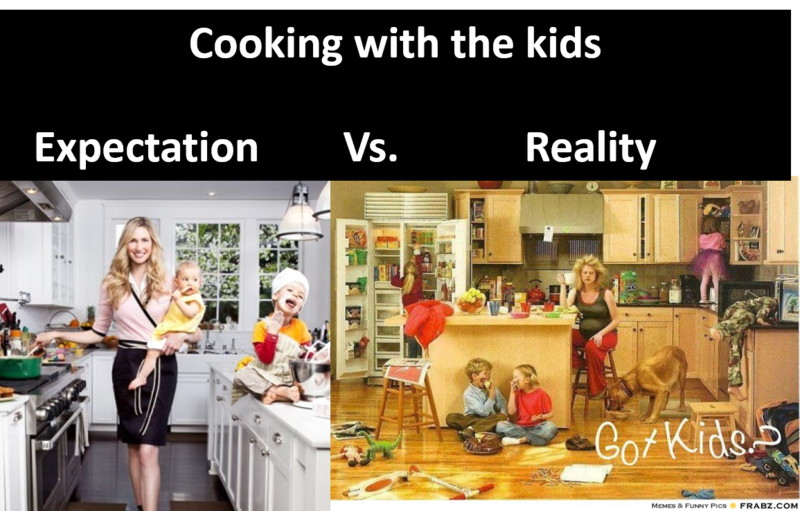 I recently read an article on the pros of not only eating as a family but also on preparing meals together. Benefits such as lowering rates of obesity and drug use, and positively impacting a child’s identity, self-esteem and values, while teaching manners and etiquette. My question is, has the author ever prepared a wholesome meal with a 3 year old, while taking the time to enjoy the “moment”, stay calm and instil values in said 3 year old. Keeping in mind this article was written for a “little kiddies book club”, the target audience would be parents of toddlers. 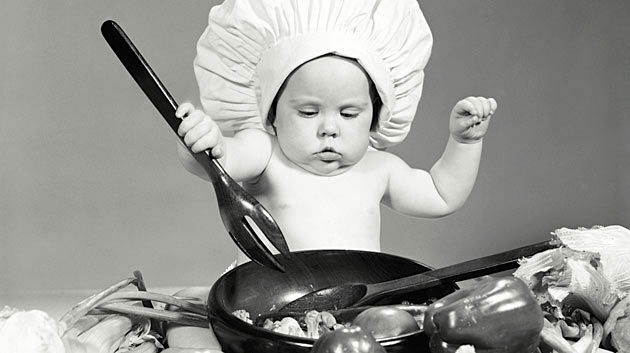 I definitely agree that mealtimes allow for the family to catch up, bond and stay connected, and is important when your kids are little and as they grow up. 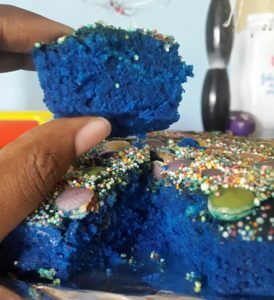 I definitely do enjoy the random lets make cupcakes, or blue-cakes moments, those make for great memories and form special little traditions. Just this past Christmas Thavina helped me make stuffing for the turkey, she did ask me why we needed to break up bread (only about 50 times) and ran the size of each and every crumb past me for an inspection before adding it to the bowl, but hey, it was Christmas and a time for family and fun. But I cannot even wrap my head around coming home from work and finding the patience to ask my 3 year old if she wants to help mummy cook supper, I have a hard enough time putting it together on my own. 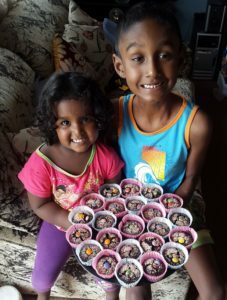 Anyone care to share tips on including little ones in daily chores, be it mealtime prep or something else, is it something I even need to stress about?